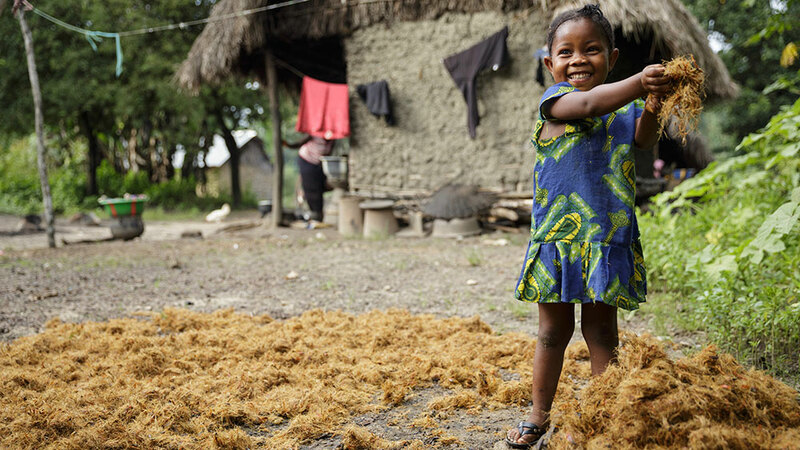 Around the world, girls between the ages of five and 14 spend 550 million hours on household chores, 160 million more hours than boys in the same age group, according to a report from Unicef titled “Harnessing the Power of Data for Girls.” Girls aged five to nine spend an average of four hours a week on chores; that rises to nine hours per week for girls aged 10 to 14. In countries with higher expectations for girls to work, those numbers can be higher still. 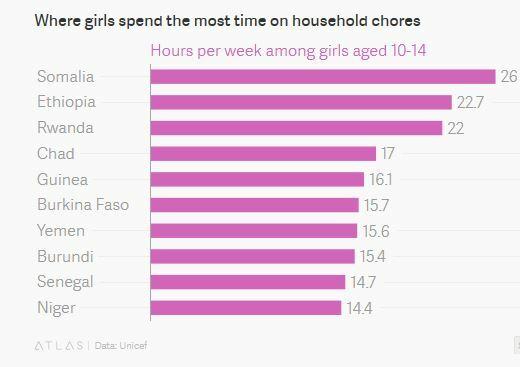 In Ethiopia, Somalia and Rwanda, for example, girls aged five to 14 spend two hours each day on work around the home. According to Unicef, these early gender disparities plant the seeds of inequality, and ultimately influence how much women will work, and how little their effort is valued. 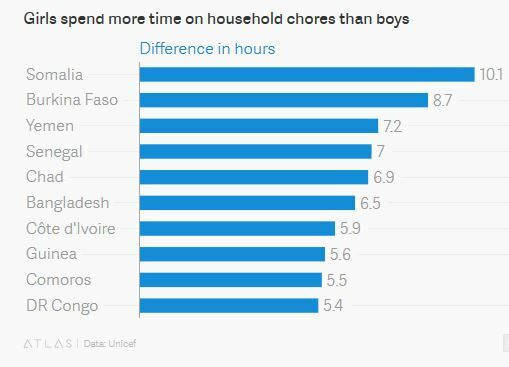 Worldwide, nearly 90% of girls today are growing up in low- and middle-income countries, mainly in Asia and Africa, where labor-intensive household chores are still part of their daily routine. In many traditional families or impoverished households, tasks like fetching water, collecting firewood, or taking care of younger siblings are girls’ responsibility. Consequently, daughters are often the first to sacrifice important opportunities to learn, grow, and enjoy their childhood, Unicef’s principal adviser on gender, Anju Malhotra, said in a statement. Many drop out of school. “This unequal distribution of labor among children also perpetuates gender stereotypes and the double-burden on women and girls across generations,” Malhotra said. Time spent working isn’t the only disparity; type of work can be equally problematic. Girls are often tasked with cooking, cleaning, and caring for others, according to the Unicef report, which used data based on a number of surveys, including health, demographics, national, and other indicators from 2000 through 2015. The reduced import placed on this type of labor has a psychological impact on girls, who internalize that the work they do is less valuable, Unicef found. This in turn hurts girls’ self-esteem and leads to young women curtailing their ambitions and limiting their own potential. The path out of care-taking is often an early marriage—some girls see matrimony and early motherhood as the easiest way to escape poverty and a low position in the family. One report found that one in three young women in Africa are married before the age of 18. For a family, marrying off a female child means one less mouth to feed. But for the world’s girls, it only restarts the cycle. Posted by Above Whispers on October 13, 2016.